Co. E, 2nd Bn., 222nd Inf. May 8, 1945, V-E Day: The Dublin Courier Herald’s banner headline read “ War Officially Ends.” Public celebrations were somewhat subdued. There were a few flags displayed publicly in stores and homes around the city. In the Zetterower home, the mood was much more somber. Dr. and Mrs. Frank Zetterower, Sr. had heard nothing from their son Frank, who had been reported missing in action for four seemingly endless months. Day after agonizing day, night after restless night, they held out hope. Then on the day the war officially ended in Europe, the news they had feared, but prayed and hoped would never come, did come: “The War Department regrets to inform you that your son was kil....” You can’t imagine the pain, the never ending pain, unless you have been in their place. The families of James E. Fountain and Christopher Lowery got the same dreaded news that day, a day which was supposed to be a happy one. Frank Zetterower, Jr. graduated from Dublin High School in 1936. Little did Frank and his buddies, Red Tindol and Bob Werden , know what the world had in store for them in the upcoming decade. After graduation, Frank worked a while for Swift and Company before he was granted a Dunlop Tire franchise in Dublin. days of mail call, Cpl. Gwaltney, suddenly changed his procedures and started with the letter ‘Z.’ A lot of good natured grumbling occurred as Zetterower sauntered through the crowd with a broad grin and his mail in his hand. Cpl. Gwaltney did this on several occasions and from then on, everyone knew Staff Sergeant Zetterower in Company E,” Beard wrote. S.Sgt. Beard remembered another incident which puzzled many members of the company. First Sergeant Snow gave out weekend passes on every Friday. Sergeants Snow and Zetterower were always the first to get their passes to nearby Muskogee, Oklahoma. After a few weekends, Beard finally asked why Snow and Zetterower always got their passes before anyone else. Zetterower reluctantly revealed that he and Snow were studying to obtain their degrees as Masons in the Muskogee Masonic Lodge. Because of Frank’s inspiration, Beard became a Mason and recently received his fifty-year pin from Culpepper, Virginia Masonic Lodge. “The George Washington,” bound for France. The rest of the division would come over several months later. Christmas and Happy New Year!” The Battle of the Bulge dominated the news from the front. The Third Army was moving northward, while the Seventh Army was stretching its thin lines to take up the line vacated by the Third Army. The Rainbow Division was assigned to the Third Army and left the Command Post in trucks, and 40 and 8 boxcars to an assembly area in Bensdorf, France. While they were on the way, the division was reassigned to the Seventh Army to relieve elements of the 36th Division around Strasbourg. unless they were fired upon first. The Germans, also on the defense, fired occasional volleys of machine gun fire into American positions. Following the Battle of the Bulge, German forces under Himmler were determined to repulse the Allied advance into their homeland. On December 26th, American generals were desperately seeking to fill gaps in the Allied lines. Contingency plans for the evacuation of Strasbourg were laid out. American lines grew dangerously thin. New Year’s Day found the Americans shifting positions again. The 222nd regiment took over the sector previously occupied by the 242nd regiment south of Strasbourg. A threat of an attack on the following night sent the 222nd a little further to the east. Following a conference between British Prime Minister Winston Churchill and French leader Charles De Gaulle, a decision was made to hold Strasbourg. January 3rd was a bitterly cold day. Frank had previously written his brother stating that because of the extreme cold in France, that he and his men were forced to burn their shoe polish to stay warm. Refugees, fearing an oncoming battle, were fleeing Strasbourg. The 2nd Battalion of the 222nd, including E Company, moved back into Strasbourg. E Company (222nd) was relieved on the 5th of January, 1945 by soldiers from the 1st French Regiment. In order to speed up the relief, one company at a time was taken out from the lines. By 1:00 p.m., E Company had been completely relieved and the men began loading their trucks for Wantzenau. They rode in trucks known as DUCKs, which were amphibious vehicles. Company leaders had no knowledge of their mission once they arrived in Wantzenau, when they were directed to move to Weyersheim. The Germans noticed the movements of the 42nd and began an attack on Gambsheim and other points along the Rhine River on the morning of the 5th. At three o’clock on the afternoon of January 5, 1945, Lt. Colonel Edmund Ellis received orders for the attack on Gambsheim, France, a small village along the Rhine River, which separated France and Germany. It would be the second time in a month that American Forces attempted to seize the French border town. On December 7, 1944, three years to the day after America’s entry into the war, the 19th Armored Infantry battalion and the 25th Tank Battalion liberated Gambsheim. Zetterower’s company was ordered to move from west to east along the south side of the Weyersheim - Gambsheim Road with E Company of the 232nd Infantry in the attack echelon. The two companies were a part of Task Force A commanded by Ellis. They were to attack Gambsheim from the west, while Task Force B would attack from the south. The two forces began their attack two to three hundred yards west of Weyersheim with Co. E (232d) moving on the right flank south of the Weyersheim - Gambsheim Road. Zetterower’s company was still on the way from Strasbourg. As darkness began to fall, three supporting tanks took the point. Ellis’s force encountered little resistance, only light arms from German patrols slowed the advance. Once E Co. (232d) reached the edge of town and the cover of the Steinwald woods the fire intensified. The leading elements of Ellis’ force found that a German force had moved into the Steinwald woods, north of town. The briefing the men received earlier stated that there was no information whether there were men in the woods or not. Other German outposts were established along the Landgraben Canal west of the woods. When contacts with other elements of the Task Force were lost, Ellis called a halt to the advance and returned back to the Landgraben Canal. The men dug in while the leaders continued to attempt to contact the 2nd Battalion of the 242nd Regiment, which had been delayed in coming up because of heavy enemy fire. At six o’clock in the evening, the two Task Force leaders, were discussing their next move from a command post in Weyersheim. Company E arrived in Weyersheim about 4:30 p.m. They were told little, just that a small force of Germans were defending the town of Gambsheim. E Company (222nd) was told that the attack was in progress and that they would be the reserve company in the attack, 600 yards behind E Company (232nd). As the Company Commander was returning to town, the company had already dismounted from their vehicles and were moving forward through Weyersheim. During their advance through the town, the commander ordered a test of the radios. Only two of the six radios had been calibrated. Two quit working after ten minutes. In the haste to move out quickly, the bazookas and bazooka ammunition was left behind in the supply truck. Company (232nd). The captain ordered an immediate withdrawal back to the canal. The Battalion Commander ordered Zetterower’s company to form a defensive perimeter west of the canal in the rear of E Company (232nd). “ The ground was bitterly cold, the ground was covered with snow, and we huddled together all night long trying to keep warm and prevent frostbite, ” remembered Sgt. Gareth Tuckey. Many of the men slept (or tried to sleep) out in the open with little to warm them. After a reconnaissance patrol returned to camp, the Battalion Commander ordered Zetterower’s Company to be the attacking company, when the force crossed the bridge on the next morning. The vehicle bridge was the only place where the canal could be forded. The companies were ordered to get into files and to follow the 242nd over the bridge. At 3:00 o’clock on the morning of January 6, 1945, the Ellis force departed from the departure point, the Landgraben Canal vehicle bridge. Their mission was to reach the railroad station before eight o’clock. This time line was critical because the ground between the bridge and the railroad was flat and open. After reaching the railroad, the Ellis Force was ordered to push the German’s across the Rhine River. This was no easy task for two companies which had virtually no armored support. organization would have been of considerable benefit.” Better communications, ammunition resupply, and additional fire support would be needed for the attack to succeed. There was no bazooka ammunition, although each unit carried an adequate supply of bazookas. The point of the 242nd was cut down by fire which enfiladed the column. Two tanks were brought up to lead the advance. The forces then moved out across the bridge and took up night attack formations. Bill Clayton remembered that “you could only see a few feet and conversation was limited to a few whispers.” The attack pattern was two or three men on the point, followed by the company commander, who was followed by three platoon runners, and three rifle platoons. Heavy machine gun fire began to rain down on the Ellis Force after they crossed the first canal. Three 60mm mortars silenced the machine guns. Clayton remembered that the German machine guns opened up from several directions. Sweeping tracers were flying all over the place. Clayton thought about lying down in the snow. He heard S/Sgt. Boyd Turner cry out that he had been hit. Clayton crawled to Turner and brought him back to safety behind a pile of rocks or a stone wall. It was hard to tell in the dark of night. Company E, with Sgt. Zetterower heading one of the leading elements, began to race across the open ground, firing as they ran. The dark night allowed Ellis’s men to move faster. The Weyersheim-Gambsheim Road, which divided the two forces, aided in directing the attack toward Gambsheim. The flashes from German guns in the Steinwald Woods to the northeast kept the men moving in the right direction. The skirmishers of the 242nd slowed the enemy fire from the Steinwald Woods. right flank. They were not there - ambushed and pinned down by the Germans several miles away. The men of Company E were hugging the snow laden ground. Still, there were no tanks. Five runners were sent back to find them. All five were wounded. Frederick L. Vonglarick, Kenneth Dickey, and Harry D. Pratt were all awarded Bronze Stars for their heroic achievement in volunteering to run back through the fire to find the badly needed tanks. All three were wounded and were presumed missing in action. As Carroll approached riding on one of the American tanks, Livingston ordered his men to charge toward the railroad embankment. The tanks stopped and began firing. One round accidentally killed two men and wounded a platoon leader. The Company Commander attempted to force the tank to unbutton its turrets by beating on the turret with rifles. After this didn’t work, he managed to get in front of the tank’s periscope and waved his arms. By 8:00 a.m., the tanks were no longer to be found. The tank platoon leader was killed when a bazooka round destroyed his tank. It is impossible, after 55 years, to determine the exact order of events as the battle as they took place. The men’s memories are clouded by the maelstrom of the moment. Frank took his 2nd Platoon rifle squad toward an open school yard. “He was with the leading elements of the company,” said Sgt. Gareth Tuckey, who lead a weapon’s platoon in Zetterower’s rear. Suddenly one of Frank’s men was wounded, lying helplessly in the open. The sun was quickly illuminating Zetterower and his men, who were silhouetted against the white snow. Frank had to do something. His man had no chance out there. Someone had to go get him. He knew the odds weren’t good. That man would die unless he went to out to get him. The sergeant made sure his men were covered from enemy fire before he made his move. He made it to the man and began to drag him back to safety. Small arms fire and the always deadly automatic weapons fire permeated the school yard. The shots were coming from the direction of the Gambsheim railroad station. Charles Ross, who was standing near Sgt. Zetterower, said “ he just dropped down and his helmet went flying back off his head.” Ross called out to Frank, but Frank never moved or answered. When Lt. Carroll ordered the men the charge, Walter Stomski stood up. He looked up and down the lines. “I was horrified to see how many of us did not get up,” Stomski lamented. Stomski called for his squad leaders looking for orders. “When I called for S. Sgt. Zetterower’s name, he did not respond,” Stomski still vividly remembered. “At this point, I knew he didn’t make it, but it was not confirmed until the next day when the medic reported the casualties to me,” Stomski said. The men were ordered to keep going. Ross hoped Frank was just wounded. Weapons platoon leader William C. Bahan and Sgt. Gareth Tuckey followed Frank’s squad into Gambsheim. When they got to where Frank was, they found that someone had marked his location by sticking his rifle into the ground and placing his helmet on the ground. There was nothing they could do for him now. They said to themselves that at least he did not have to suffer very long in the extremely cold weather. Rear elements of the unit came up and brought Frank’s body back to the back of the lines. Sgt. Zetterower was the company’s first casualty of the war- in its first battle. Rifle grenades drove the German defenders from the railroad station area. Fortunately there were no German troops in the railroad station, which Livingston set up as a command post. Company E of the 232nd Infantry, the reserve company, came up and the survivors established a shaky foothold on the western edge of town. E Company (232nd) had lost all but one of its officers in the first hour. Then, inch by inch and foot by foot, the Americans moved house to house, eventually making it to the eastern edge of Gambsheim. The Gambsheim Church was shelled in order to prevent sniper fire. The plan was then to take the southern half of the town. E Company (232nd) took over the attack echelon. E Company (222nd) had used most of its ammunition. The 2nd Platoon was used to establish a bridgehead. The 1st and 3rd Platoons moved out toward Gambsheim Church, which they took fairly easily through the use of rifle grenades. The 242nd, now north of the town, had no support. Col. Ellis reported that there was little fire in the town itself, although there was some enemy artillery shells fired, but were being shot over the heads of his men. Had Ellis known of the predicament of the 242nd, he would have turned north, instead of south. The Americans had been told that the town was occupied by a few war weary German infantrymen. Instead, they ran into a company of German Panzer tanks. With no bazookas, the infantrymen of Task Force Linden were helpless. Then men originally thought they were American tanks coming down the Rhine River from the flank. The men noticed that behind the tanks were German infantrymen, many of whom were killed by American machine gun fire. Sgt. Frank Diaz, Jr. was wounded in his back by mortar shell fragments. Diaz continued to assist the squad leader until he was also wounded. Sgt. Diaz took command of the squad and helped move the wounded into a railroad station. Diaz remained with the wounded and took them down into the basement and then directed the remaining men out of the station and back to safety. For his actions of heroism, Sgt. Diaz was awarded the Silver Star. Ross was wounded in the leg and taken to an aid station, which had been set up in that house. Someone came in and told him and four other wounded men that the companies were pulling out and they had to stay behind. The five wounded men hid in the basement of the house for five days until they were captured and taken to a German P.O.W. Camp for the remainder of the war. They never knew what happened to their friends and fellow members of the company. Bill Clayton remembered coming to after being hit by something. He was directed to a pub where medics were treating the wounded. The lesser wounded men started passing a bottle of Cognac around to help alleviate their painful wounds. Then someone yelled, “here comes a tank!” The tank fired a shot directly into the building. Those who could run, ran out. Clayton attached himself to a Lt. Colonel, whom he figured knew what was going on. The colonel was trying to organize a delaying action to stop the tank. Clayton made it back but, it wasn’t easy. Sgt. Tuckey’s weapon’s squad made it to the station “where it seemed obvious to me that we were hopelessly out-gunned and out-manned, Sgt. Tuckey wrote. “A couple of senior officers sent three volunteers to try and locate the armor support. They were wounded or captured almost immediately,” said Tuckey, who then was forced to withdraw with the rest of his squad. “I lost five men from my platoon, including a college classmate, who was my best friend,” Tuckey lamented. There was still no communication with the 242nd on the north, or more importantly, the 232nd on the south. Ellis’s men thought they could hold against the infantry, but not against the powerful Panzers. Ellis ordered a withdrawal. The Germans failed to pursue them. Ellis commented that the German infantry was “rather inferior.” The two companies of Ellis’s force joined west of town, but when heavy mortar fire began coming into their positions, Ellis ordered a further withdrawal. The survivors made it back to the Rohr River to the west. Livingston and some of the men escaped under the cover of a frozen irrigation ditch. In all of the confusion and pure Hell, Livingston was unaware of Zetterower’s condition. Livingston, who was awarded a Silver Star for his heroism during the battle, was shocked and grieved, nearly fifty five years after the incident, when he first learned of Frank’s wounding. He was “a truly likeable guy,” Livingston said. “Frank amused me with his ‘Yankee Californian’ pronunciation of his name, which sounded like ‘Zettawowah,” Livingston fondly remembered. The American forces had been forced to into a hasty withdrawal, having to leave many of the wounded behind, including the platoon leader, 2nd Lt. Dallas Hartwell, the third platoon leader, and Sgt. Zetterower. It was their first “baptism of fire.” The two task forces dug in and waited for eight cold days before being sent back to Luneville, France to recuperate and accept replacements. The men recovered, new replacements came in, and the advance toward Germany continued. Company E saw action three weeks later at the Ohlungen and Hagenau Forests. In the last weeks of the war, the men of the 42nd Division moved in the concentration camp at Dachau. Not knowing whether or not they were going to fired upon they moved into an area which Bill Clayton described as “deadly quiet.” The prisoners were huddled in their cages. No words were uttered. Those men of the 42nd, who were the first to enter the camp, were profoundly affected by what they saw for the rest of their lives. The war ended when the 42nd Division was near the Bavarian Alps, which was some of the most beautiful country in the world, a substantial contrast to the hundreds of mile of Hell that had traveled in the last five months. protection of a wall and fired his Browning automatic rifle to allow several exposed men to crawl to the safety of the wall. Masonis disregarded his wounds and once again moved out into the open to give aid to his wounded platoon leader. In the fall of 1945, the United States Government recognized the heroic achievements of Staff Sergeant Frank R. Zetterower, Jr. Major Gen. E.F. Witsell posthumously awarded the Silver Star, the nation’s third highest award for heroism, to Frank’s widow, Nona, in recognition of “ His skillful leadership and self-sacrifice in taking care of his men and for gallantry in action. Frank’s body arrived in Atlantaon July 21, 1948, just over three and one half years following his death. On that very day and after a long illness, his father, Dr. Frank R. Zetterower, Sr., died. Both were buried in Northview Cemetery in a double funeral (Sect. M, Row 1). Ten days after the death of Sgt. Frank Zetterower, another young Dublin sergeant was a mile or so west of Gambsheim. He was a part of the 66th Armored Infantry Battalion. His unit was involved in an offensive to counter the German army which had stood firm in the area. The young man was a member of Company A which moved across the canal about a mile below where Zetterower’s company had crossed ten days earlier. This time the attack was directed between the canal and the Steinwald woods. Their mission was to clear the woods of the German forces. There was a little snow on the ground, but the fog was so thick that the men could not see more than twenty feet in any direction. As the men of Company A approached the northern half of the woods, they came under fire. The young Dublin sergeant fell. At first his family thought his wound was very serious. He was lucky, unlike his former neighbor, Sgt. Zetterower. The man returned to his unit and in April of 1945, led the first allied force across the Danube River in Germany. The younger neighbor of Sgt. Zetterower, who lived about three blocks from the Zetterower home was Sgt. 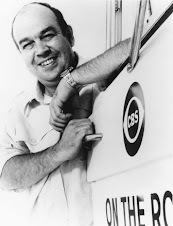 Lester Porter. The Badge, Rainbow Division Veteran’s Association, November, 1998. Publishing Company, 3rd Edition, 1998. Group, Hampton, Va., 1999 . Dublin Courier Herald, May 9, 1945, Oct. 4, 1945. 42nd Rainbow Infantry Division, History World War II, Lt. Hugh C. Daly, 1946. Publishing Company, Paducah, KY, 1987. Reveille Magazine, April 1998, June, 1998. Action, 5-8 January, 1945, by William Goddard, 7th Army Historian, U.S. Furnace and the Fire, Vienna, Austria, 1945. Personal Interview with Dr. John W. Zetterower. Dr. Annie Yarborough may or may not have been the first African-American female dentist to practice dentistry in the State of Georgia, but she was certainly the second African-American woman ever to be awarded a license by the state. Dr. Yarborough was the first woman ever to practice her profession outside of Athens, Georgia, where Dr. Ida Mae Hiram hung her out her shingle in 1910. Born Annie E. Taylor on July 18, 1882 in Eatonton, Georgia, Dr. Yarborough was the mulatto daughter of the Rev. Hilliard Taylor and Anna E. Pennaman. Her maternal grandfather, Morris Penneman, was a successful farmer and mill right and for his time a large landowner among a small group of former slaves who owned land in post Civil War Georgia. Annie attended the public schools of Eatonton. After she graduated from high school in 1896, Annie enrolled at the Atlanta University. Life was difficult for Annie and her family after Rev. Taylor died all too young. She was educated in the field of education and took her first job in her hometown. Miss Taylor moved out of town and taught in the Putnam County schools before moving to Jasper, Dodge and Laurens Counties. In her spare time and between school terms, Annie was quite a successful dressmaker and fancy seamstress. It was during her tenure in Laurens County that Annie met Dr. Adolphus Yarborough. They fell in love and married on February 22, 1906. Adolphus Yarborough learned his dental skills while working as an office boy. Before he entered Dental School, Adolphus worked as a porter. He was regarded by many as the best mechanical dentist of his race in Georgia. Adolphus Yarborough, born in September 1881, was a son of Nelson and Charley Yarborough and was the first African American dentist to practice in Laurens County. When they first got married, Adolphus and Annie lived in his father's home on Marion Street in Dublin. Annie longed to work beside her husband. Adolphus' office hours and home visits rarely allowed the couple to see each other, so Annie made up her mind that she was going to become a dentist. There was only one problem. There were no black female dentists and Georgia and no black dental schools in the state either. Annie had to leave Dublin and move to Nashville, Tennessee where she enrolled at Meharry Medical College. During her first year at Meharry, Annie was elected to teach sewing and domestic science at Walden University. In another rarity, Annie was both a student and a teacher at the same time. In the spring of 1910, Annie Taylor Yarborough walked across the stage and accepted her diploma as a graduate. 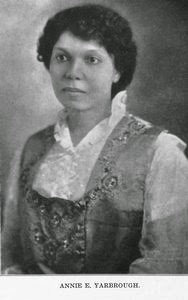 Dr. Ida Mae Hiram, credited as the first female African-American dentist in Georgia was also a member of Class of 1910. Later that same year Dr. Hiram passed the dental board examinations and joined her husband in their dental office in Athens. It would be another year before Dr. Yarborough would be officially licensed to practice in Georgia. Dr. Yarborough was active in the Baptist Church. She was an outstanding member of the Household of Ruth and the Court of Calenthe. The onset of World War I provided new opportunities for dental students and practicing dentists as well. Black dentists finally thought this may be their chance to expand their practices beyond their own race. Applications to the newly created Dental Reserve Corps poured in. Annie Yarborough was one of the first to apply. On June 6, 1917, just two months after the United States officially entered the war, Dr. Yarborough volunteered for service. Her two brothers had served in the 9th and 10th Cavalry during the Spanish American War and at the age of thirty four, Annie believed it was her duty to serve her country. She informed the Army that she was one of the few female dentists in her state (either black or white) and had completed four years of dental education at Meharry College. Four weeks later, the office of the Surgeon General of the Army issued its standard denial of all women applicants, though the offer was appreciated. As the war progressed, the policy of no women in the Dental Corps changed. During, or shortly after the war, the Yarboroughs divorced. Annie, with no children, changed her name back to her maiden name and lived in a house at 626 South Jefferson Street in Dublin with her mother and her sister Leola Smith and her husband Henry. Following the 1920 Census, Dr. Annie Taylor seems to vanish from Dublin. I could find no records of her. Perhaps she, like her father, died young. Maybe she moved to another town. Who knows? If you know, contact me immediately. Dr. Annie Taylor Yarborough was a woman of high integrity, high education and one whom all of Laurens County can rightfully and deservedly be proud of.